Come to Beach Bodies tanning salon in Orillia, as well as a place to find all kinds of beachwear and accessories. Close your eyes, relax, and get some colour at Beach Bodies! Established in 1994, our Orillia-based salon will get you off to the right start on your holidays—from tanning beds to fabulous swimwear. Our friendly staff will help you with the prep so that you feel confident and look great when you’re lapping up the rays. Beach Bodies was the voted Orillia’s Reader’s Choice Tanning Salon in 2012 and the Best in Orillia in 2011. We also stock a range of fabulous swimwear options for every type of body shape. Our friendly sales assistants would be happy to fit you for a one piece, bikini, tankini, cover up, stock wraps or swimdress. We encourage our clients to develop their tan before they go on holidays. 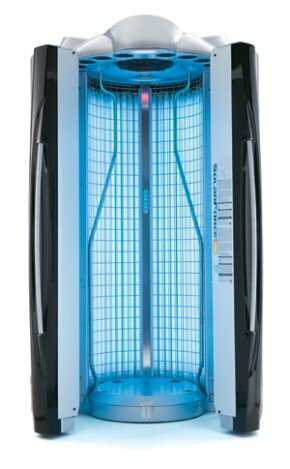 We have 6 tanning beds, available with 4 different intensities: low, medium, super and high. Each one of our tanning beds is serviced and maintained, that way you’ll never be met with an out-of-order sign. Here at Beach Bodies, we also pride ourselves on the maintenance and cleanliness of our sunbeds. 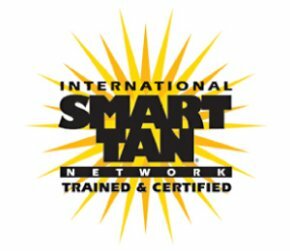 We are members of the Smart Tan® network. Try out some of our high-quality tanning lotions from brands such as Australian Gold®, Swedish Beauty®, California Tan® and Designer Skin™ to achieve a flawless finish and healthy glow. We also offer spray-on tanning sessions using Norvell™ tan. These sessions are sprayed on using a tanning gun by a technician. Call us to book an appointment today. Come in for a tan and soak up some confidence. Book your session today. Customized tanning packages that include extra free minutes. All prices include tax. It's a happy environment every time I walk through the door. Always welcomed with a smile and friendly chat. Lana and Ben are amazing people. Best spray tan I've ever had! She was very detailed and careful, went way above what I've had done other places. Highly recommend - and great price. Great place! The two who Beach Bodies are friendly, knowledgeable, and honest. They gave me some great advice on tanning and skin care on top of helping me get a base tan for my upcoming trip. Will recommend to anyone thinking of tanning in the future.